How do you cut to the heart of a place like Brighton? In The Illustrated Brighton Moment, over 50 of the its finest authors and illustrators do precisely that – each distilling a singular moment that made them think, Only in Brighton. The result is an extraordinary, multi-faceted portrayal of a city – a unique literary and artistic collaboration that is by turns wry and plangent, witty and profound. In these superbly crafted miniatures, each writer and illustrator may see a different city, but collected here these moments create as complete a vision of Brighton as you could wish for. 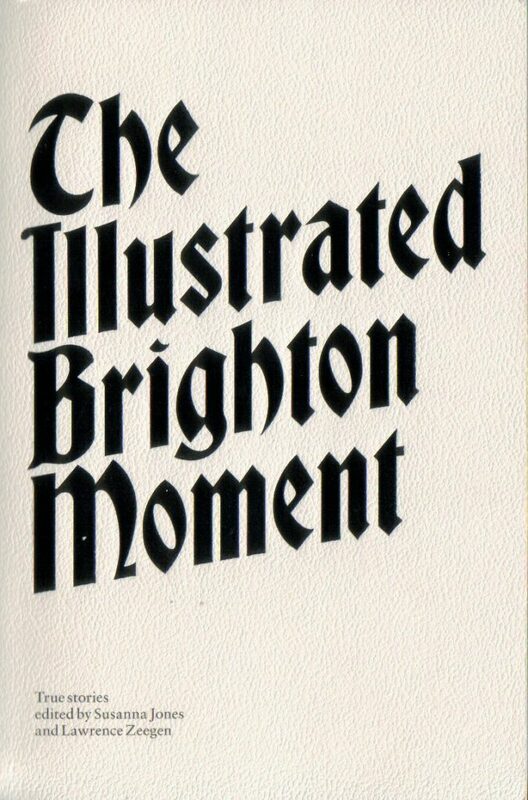 Edited by Susanna Jones and Lawrence Zeegan, The Illustrated Brighton Moment is a witty, profound, heartwarming, controversial and above all dazzlingly original portrait of a place and its people. Featuring the writing of Rose Collis, Annabel Giles, Carole Hayman, Susanna Jones, Marek Kohn, Martine McDonagh, Alison MacLeod, CJ Sansom and William Shaw. Launched with The Brighton Moment, part of the Brighton Festival, at The Komedia on May 5 2009.